What books have you read that mention the death of a pet or loved one? Use the writing prompts below as conversation starters with your parents/children. on Facebook and register to win a set of great middle grade novels. Carol Baldwin read all about it and helped spread the word. Read an interview on her blog. Read all about and help spread the word! Readers need to know! In summer, many families travel to visit relatives or vacation out-of-town. This summer, an author friend is coming to town. 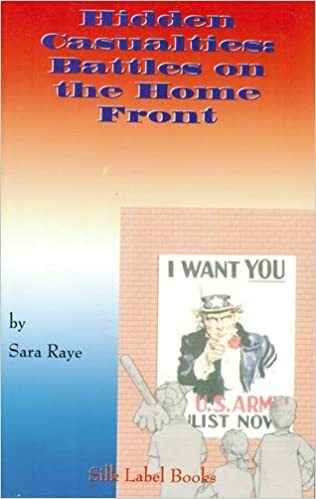 She was invited to do a book signing at Ft. Bragg, NC. 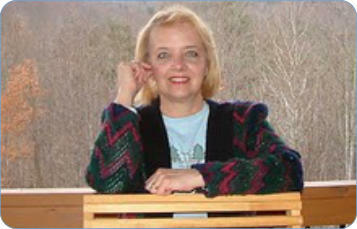 I hope you can stop by to see her and check out her latest book, as well as some short stories. Who is this author who is coming to town? When is Sandra Warren’s book signing? Saturday, August 6, 2016 from 9:00 am – 12:00 am. Where is Sandra Warren’s book signing? Hidden Casualties and When Duty Called are nurses stories about serving in Desert Storm. Everyone knows that one of teachers’ favorite back-to-school writing prompts is: What did you do over summer vacation? If I were writing in response to this prompt, I’d tell about Sandra Warren, the author who came to town. Here are other prompts for you to consider. Who came to visit you this summer or who did you visit? Write interview questions for a favorite relative. Ask the person to respond. What family projects did you do this summer? What tips can you pass along on how to keep cool? What books did you read for pleasure? Tell about them. How would you organize a book review panel? The Last Cherry Blossom–Coming Very Soon! NO, there’s no real danger to cherry trees that provide us so much beauty. No threat to them in that way. So what is this post about? A new book called THE LAST CHERRY BLOSSOM by Kathleen Burkinshaw. THE LAST CHERRY BLOSSOM is a book you don’t want to miss. What have you heard about it? If you don’t know about this debut book due to launch on August 2, read more here. I’m so happy for my writer friend and her writing journey! What a great gift to readers everywhere. Readers, I hope you’ll try some writing of your own..
Tell about a time your life changed for the better. Tell about a time your life changed for the worse. What helps you to handle things when life turns worse? How do you like to celebrate when life changes for the better? Who helps you through life events when you face changes? I hope you’ll look for and read THE LAST CHERRY BLOSSOM by Kathleen Burkinshaw. Have you ever been so excited for someone that you couldn’t stop thinking about it? Have you ever known something was special before others declared it so? If this isn’t making sense, I hope it soon will. Please take time to read Carol Baldwin’s interview with a special debut author, Kathleen Burkinshaw. Enjoy! 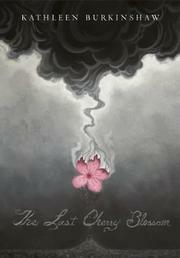 More posts to follow about Kathleen Burkinshaw and her debut book, THE LAST CHERRY BLOSSOM. Tell about meeting an author or illustrator for children’s books. Write a letter to a favorite author or illustrator. Interview someone who is special to you. Share your interview with others. 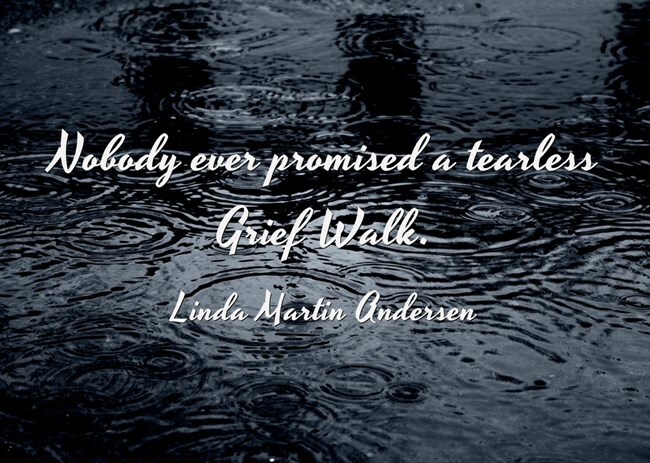 As some of my blog followers know, my husband died on June 14, 2016. His memorial service is Tuesday, June 21, 2016. Kids loved him, even ones who didn’t know him were drawn to him. I think they could sense his playful, childlike nature. He especially enjoyed spending time with small children. Our grandson said he liked to scare people. At our annual hayride, Scotty did occasionally wear a costume and mask and jump out at children who attended. Once a child cried, and the mask came off. No more tears. He loved having people gather at our home for a parties, such as the annual hayride. He was patient and especially enjoyed teaching young children to fish. He loved frogs and had a pretty big collection. He loved going to church and working on church service projects. He loved his job and the people he worked with. He loved his friends and time spent working or playing. What is your favorite memory of your dad? Share it with him or other family members, if he is deceased. What is something that makes your dad laugh? Why? What practical jokes have you ever played on your dad? How did he react? What is a word you could say that would bring back a great memory? For example, I could say “Alpine Inn” and our family would moan and groan about a dilapidated motel where we stayed on a vacation. What would a Heavenly Father’s Day look like to your dad? I hope all of you out there are enjoying Father’s Day with your father, your sons who are fathers, or grandsons who may become fathers, or other “father figures.” Visit a “playground” of your own choosing–it can be your family room, a restaurant, a church, a long distance phone call or Skype or even an actually playground down the street. Over at the playground…it was a warm, breezy spring day. Kites soared above, people hurried along the walking track, and children played. Jamison hurried over and spoke to Bradley’s Grandma, who pushed a walker. Then he and Bradley rushed off to the swings. “How does your mom know what to do for your Grandma?” Jamison asked. “I’ll race you,” Bradley said. What is one of your favorite guide books? What is one of your favorite how to books? Check your bookcase for other books. Ask your parents to name some of their favorites. My blog’s name is “A Writer’s Playground,” but he recently informed me that he prefers to be called Blog. Today, is all about Blog. What does Blog want for his 4th birthday? Blog wants to tell all about his adventures and he wants to start at the beginning. 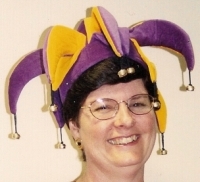 In 2012, my good friend, Joan Y. Edwards, helped me set up Blog which I named “A Writer’s Playground.” I thank her for that! Blog thanks her too! Without her, he wouldn’t exist. And now, it’s Joan’s turn to receive some help. On May 13, 2016 some of Joan’s followers will participate in a Blog Blitz for her new book: Joan’s Elder Care Guide: Empowering You and Your Elder to Survive. I’m excited; so I know she has to be! 4RV Publishing: the price includes shipping anywhere in the USA. Blog wants to tell about his growing pains. Blog has decided to change things up a bit. Since May 2012, Blog has begun each calendar month with a list of ways to celebrate special days. Chase’s Calendar of Events 2016: The Ultimate Go-to Guide for Special Days, Weeks and Months– a resource available to use on site at many public libraries. Search Archives at this site. Search by key words. A good place to start would be with the name of the month. Blog wishes to add more flexibility to his posts to provide his voice (that’s me) with more time for writing stories and books, while encouraging followers to search out their own monthly activities. Please provide feedback so Blog knows how that’s going for you. One example of Blog’s recent growth: In 2016, “A Writer’s Playground” participated in two blogging challenges. ” Just Jot It January” and in April: “A-Z Blogging Challenge.” Blog has visited many blogs unknown to him and has gained some new followers. Will Blog decide to do more blog challenges in the future? Wait and see. Years ago, an adult family member was admitted to the hospital. Typically, he likes to kid around. When he was assigned a hospital room, he ended up in the pediatric section. That was the only available room, he was told. We all got a good laugh. This zebra was painted on the ceiling in his room, along with other animals. Have you ever seen a zebra in these colors? Have you ever seen a zebra on ceiling tiles? What zebra story can you share? For a kid, zig zagging seems natural; however, this YouTube demonstration seems straight out of a learner’s manual. Thank goodness when I learned to zig-zag, I had fun getting into the groove, and gliding to and fro. How about you? Here’s an original Sleep Command Game. Needed items: Someone to lead the game of 3 or more family members or friends. Watch/clock with a second hand. Paper and pencil, and a large empty room or grassy yard. Invite your family to get down on the floor or in the grass to play a Sleep Command Game with you. Record the time on the clock before you begin. Give commands such as: Toss and turn. Sigh–make it a deep sigh. Turn from your back to your belly, and back over. Stretch. Snore. Snore louder. Snore even louder. Sit up startled, etc. When someone laughs, check and record the time. How much time passed before someone laughed? Ask your family to play again and try to beat their recorded time for not laughing. Compare the results. Did they succeed? Did the results turn out like you expected? Tell about it. Tell about a time you had the silly giggles. Was it hard to stop giggling? Why do you think that might be so? A big thank you to the creators of the A-Z Blogging Challenge. I made it to ‘Z end. I might not have been the first one to cross the finish line, but I completed the race. I met my goal, reached it, and had so much fun along the way! Thanks to all those who played along with me. It was also great to meet so many more bloggers. What “Z” words come to mind for you? I hope you’ll share why they’re special to you. In an earlier post, I wrote about an experience in my back yard. An elm leaf was suspended in the air and twirled in the breeze–one of nature’s windsocks. I am thankful for all I see out our window. I am also thankful for the wide open space and for the wildlife that visits too. Check out the photos below and earlier posts about them. I hope you enjoy them. Tell about some of your pleasant experiences in the yard. Photo by Jim Martin. Copyright. Yes. Yes. Yes. Yes. Yes. Yes. Yes. Yes. Yes. Yes. Yes. Yes. Yes. Yes. Yes. Yes. Yes. Do you like collecting antiques and reading old diaries? Do you like history and nonfiction? Do you enjoy visiting museums and touring old homes. Do you enjoy looking at old photographs. Is “yesterday” or history something you want to know more about? Do you read historical fiction? Which interests you most: yesterday, today, or tomorrow? Why? How will this guide your search for books to read? Do you enjoy a variety or are you drawn to a specific genre or time period? Some of my first independent readings were biographies. Have you read any lately? What “Y” words come to mind for you? I hope you’ll share why they’re special to you.